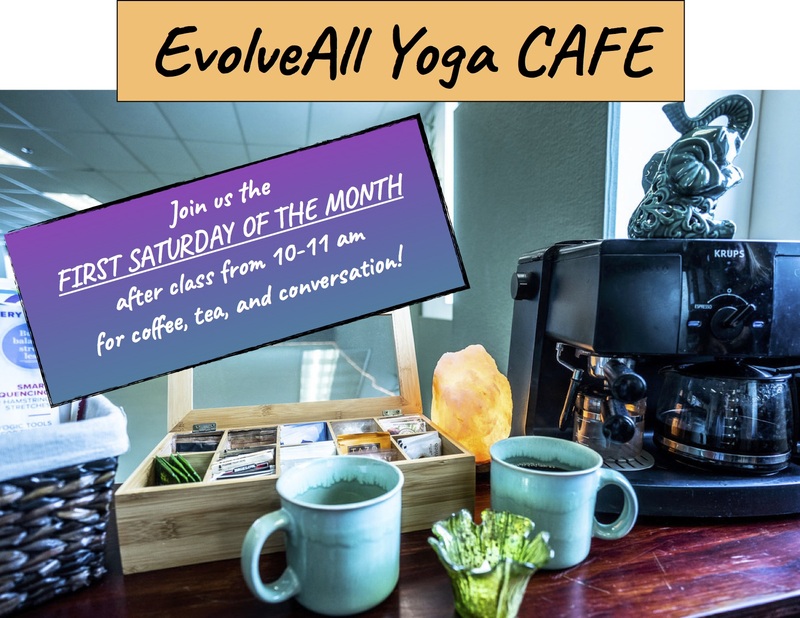 Join the yoga community the first Saturday of the month 10am-11am after yoga for coffee, tea, light refreshments and conversation! 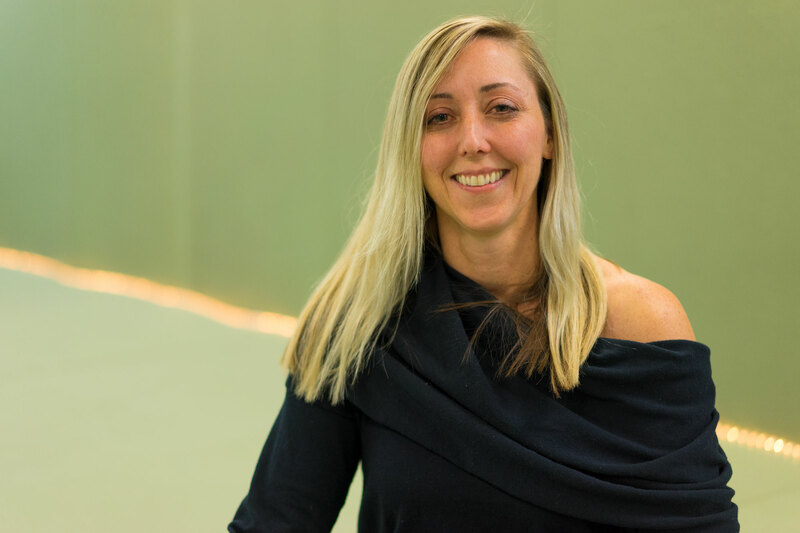 We serve the Falls Church, Arlington, and Northern VA community offering a well rounded Yoga program with a wide variety of classes. 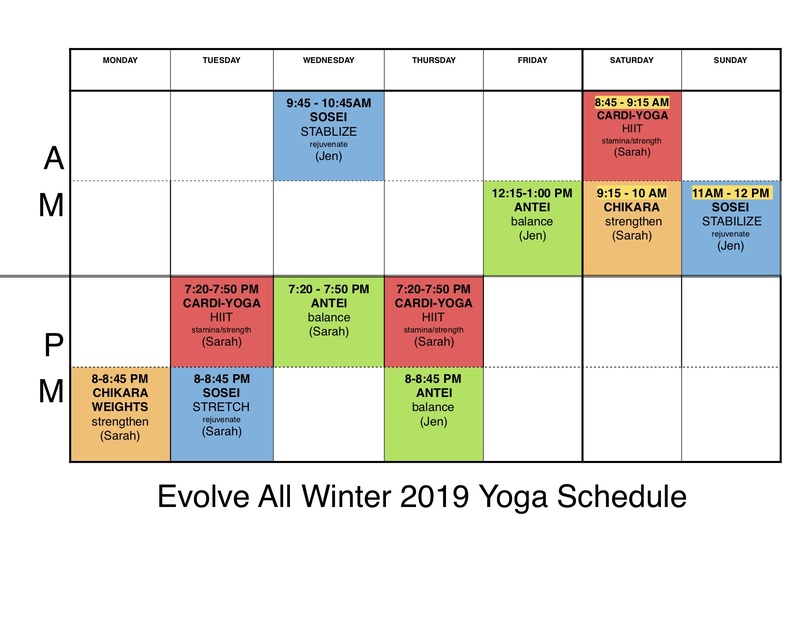 The yoga program at EvolveAll is unique because we are trained and grounded in the traditions but have adapted our practice to be current, relevant and safe. The classes are accessible to everybody and every body! We are constantly learning and adapting to our members’ needs. Tried yoga this morning at EvolveAll and it was everything I had hoped for. The Wednesday morning class is restorative, meaning slower paced and really focusing on correct form. Jen, the teacher was welcoming and helped me with poses–I am returning to yoga after a long absence. R. W.
Just tried the yoga class at Evolve All…. Awesome! I’ve taken many a yoga class at many a yoga studio but I definitely liked that this was not a typical yoga studio. The atmosphere was casual and everyone in the class seemed to have a smile to welcome anyone walking into the class that day. It was just… comfortable. 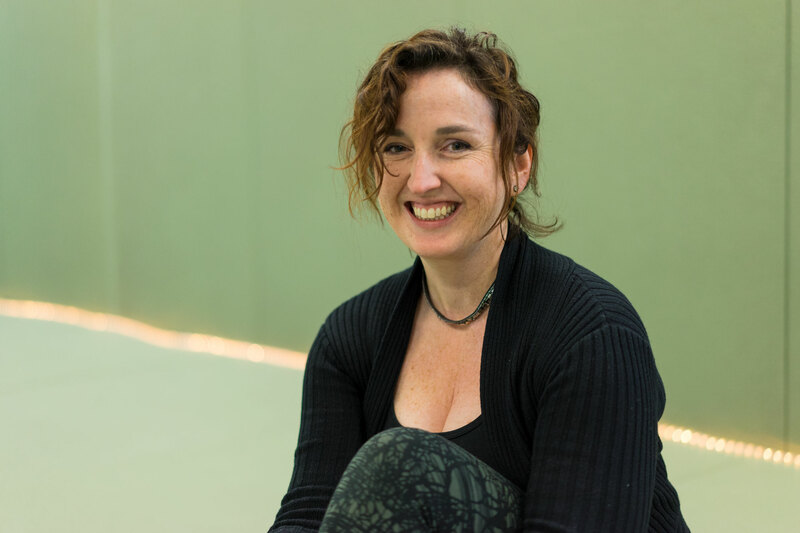 Shannon K.
SEISHI (Stillness) – Complete Relaxation: A class designed to relax, de-stress and unwind. Includes myo-fascial release and gentle stretching. Sound and guided meditations as well as Savasana. SOSEI – Relax and Rejuvenate: A slow flow yoga to recover stability, flexibility and restore balance. More focused on pose breakdown with lower intensity, which is great for beginners. Classes focus on stability, stretching and muscle recovery. Stamina is less necessary for this class. During this class the instructor may stop the flow to give additional details on poses. ANTEI – Balance: A multi-level class to stretch, strengthen and relax. More focus on flexibility, stretching and balance with a medium intensity. Designed to challenge yet quiet the body as to leave the participent feeling relaxed and balanced. CHIKARA – Strengthen: An energetic yoga practice to improve strength, stamina and flexibility. Slightly faster pace, higher intensity than Sosei and Antei yoga. Flow yoga, so more continuous movement rather than holding poses. Benefits include stress release, strength building and a great workout. TABATA – A sweaty High Intensity Interval Training class consisting of 20 second work intervals and 10 second rest intervals for 8 rounds. Very fast-paced, sweat inducing High Intensity Interval Training (HIIT) using Tabata timing. Workout can be modified to fit all fitness levels. Benefits include metabolic boost and gains in strength, stamina and cardiovascular fitness.